Thanks for your interest in camping at Atlin Arts and Music Festival. Following are some guidelines/descriptions to make planning your camping experience easier. Currently, 95% of our camping spaces are available on-line through yukontickets.com. Festival camping will be EXACTLY as it was in 2018… camping near festival grounds is available in the main camping grounds adjacent to the Festival Grounds (Camping Areas A and B), along Munro Avenue (Camping Area C) and in the Northwest Contracting/Adanac Parking Lot (Camping Area D). Please ensure your total camping unit does not exceed 20’ if you reserve a spot in Camping Areas A and B. Units/combinations longer than 20′ are not permitted in this area due to turning radii and campsite length restrictions. You will be asked to find alternative camping if your combined unit length exceeds 20’. We are offering camping at a rate of $50 per site. One camping spot is available per weekend pass. 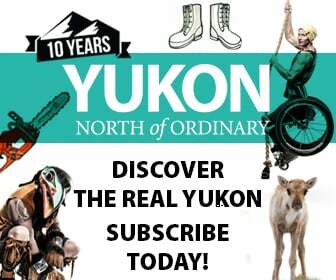 Campsites can be reserved at yukontickets.com, in person at the Yukon Arts Centre Box Office, or by phone (867)-667-8484. If you wish to have more than one unit (ie. one tent, one camper) on your site, the total cost will still be $50. The total footprint of your camping party must not exceed the footprint of your site. HOW EARLY CAN I COME AND SET UP MY CAMPSITE? Our Festival Camping opens at 10 a.m. on Wednesday, July 10. We have a very small number of campsites within the grounds that will be available at this time. Please do not come and set up camp any earlier as we will be be prepping the campsites and getting ready for all our visitors. Please note that if you reserve a campsite, you must arrive and set up your camp no later than 9 p.m. Friday, July 12. Your campsite will be forfeited if you are not set up by this time. There are a variety of alternative campgrounds available during the festival. Please refer to ‘Alternative Camping Choices’ and ‘Other Campgrounds’ below for more information. There will be camping space for all who want to camp!!!! How do I show that I’ve purchased a campsite? Camping is purchased through the Yukon Arts Centre Box office. You will be issued a ticket similar to a ticket for any YAC event. Please bring this ticket with you. It is also a good idea to bring along the email confirmation of your purchase and photo ID. Can I purchase a block of campsites for me and my friends? No! Each festival pass holder can reserve one site only. You cannot reserve a SPECIFIC site as we will be assigning camping spots on a first come/first served basis. We cannot block out a section of campsites as they will be assigned to campers as they arrive on site. You will, however be guaranteed a camp spot if you reserve a campsite AND you arrive prior to 9 p.m. on Friday, July 12. Can I reserve more than one site? Sorry, but no – each festival pass holder may only reserve one site. Can I camp in the festival camping areas and not attend the Festival? NO!!! Only weekend pass holders may camp in the festival grounds. You will need to show proof of BOTH camping AND festival pass purchases. Campfires are permitted provided only in established fire pits and in the absence of a fire ban. There are a dozen communal fire pits – please enjoy and be respectful of your fellow festival-goers. Firewood is not available on site – please bring it with you. Water supply may be made available at the park. Showers are available at the Caribou Laundry across the street from the Pine Tree Services. You can also get fresh water from the public well at Warm Bay Road, approximately 3km from town. Quiet time: the festival is about sharing music and art, and having a great time, but please respect your fellow festival-goers and families who wish to sleep at night. If you want to stay up to the wee hours and talk or play music please chose one of the other campgrounds. The Old Atlin Runway: free camping. Best as quiet area for RVs. Just off the shoulder of Discovery Ave and the current airport fence. Go east on Discovery Ave. 3 miles from Main Stage tent. No outhouses or water onsite…..but the price is right! Go another mile east on Discovery Ave. to see Pine Creek Falls, another mile further to the 100 year old Atlin Cemetery, and to Surprise Lake (10 miles) for some of Atlin’s best history and natural features. Fish for grayling at the Surprise Lake bridge. Pine Creek Campground: campers, RV’s, Tents; $10 per night. This campsite is a volunteer-run community service for our visitors. It is located on the south side of Pine Creek just past the one lane bridge on Warm Bay Rd., 3km from town. It is picturesque and set on a pine bluff overlooking the creek. Each site has a picnic bench and contained fire pit. Recycling bins. You may need to bring or find your own firewood. Some sites can accommodate mid-sized RV’s. $10 fee per night to be placed in the Campground Jar at either the Trading Post or the General Store in town. Pine Creek Beach: free, tents only. Approximately 3 1/2 km from town. No outhouses. Caribou Laundromat on Discovery Ave., across from the Pine Tree Services is open 24 hours. Water is available at the park, as well as the Spring on Warm Bay Rd., approximately 3km from town. Outhouses will be at the Courthouse, the Globe Theatre, at Tarahne Park, AAMF Headquarters, the Marina, the Atlin Mountain Inn, the Pine Tree Restaurant, and several other locations throughout town. Parking is scarce around the festival site, so if you want to have your vehicle nearby it is best to camp in Tarahne Park and park your vehicle there so you can just walk the 200 metres to the festival. Please be mindful of taped-off and no parking zones – they are there for a reason, including emergency access and evacuation. Those violating parking regulation will be subject to penalty.